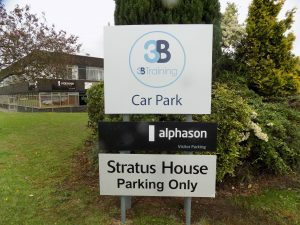 Our Wigan Head Office is home to the majority of the 3B Training employees. The team consists of the sales, accounts, admin, HR and marketing departments. We moved here in 2017 from our old home in Westhoughton, Bolton as we needed more space for training. Our Wigan venue has four large training rooms and a designated break-out area for our course attendees. Our training rooms are equipped with projectors, air conditioning and speaker systems. We have free parking and refreshments are provided free of charge for our clients and delegates. Rooms are available to hire from as little as £60 + VAT per day and are ideal for meetings, conferences and exhibitions. Amongst the hustle and bustle of the busy office, we have the training, accounts, admin, and marketing teams. Click here to find out more about the team. 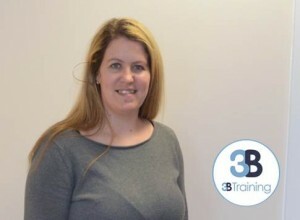 Also based in our Head Office is our Senior Training Coordinator, Sarah Davies she is always happy to advise with any questions you may have about training whether it is big or small. It is free to park in the car park in front of the venue, there is also plenty of street parking available around the centre. If you are parking in the venue car park; please use the car park on the right-hand side of the building. The office is based in Hindley Green, Wigan; just a ten-minute drive from the M61. Leave the M61 at junction 5, then at roundabout take the A58 to Wigan, At the roundabout, take the 1st exit onto Snydale Way Then at the next roundabout take the 3rd exit onto Park Road and continue to follow the A58 until you reach Leigh Road where you will then turn left. Drive for 0.7 miles and then at the roundabout, take the 2nd exit onto Hartford Road. Continue down Hindley Road towards Swan Lane and your destination will be on your left. The centre is a 7-minute taxi ride from Hindley Train Station. You can also take the 540 bus from St Johns Church (just down the road from the station) and take a 10-minute ride to the centre. 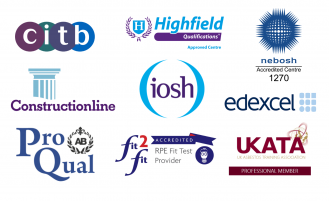 We offer most of our courses at this centre such as; First Aid Courses, Site Safety Plus, SMSTS, SSSTS, Health and Safety Awareness, IOSH Managing Safely, NEBOSH General Certificate, NEBOSH Construction Certificate, Fire Warden, Manual Handling, Working at Heights, Asbestos Awareness, Abrasive Wheels, NVQs and many others. To view upcoming course or to make a booking visit our book a course section.